Hair Co-Washing Experiment | Valet. What the Hell Is Co-Washing? And Will It Really Save My Hair? For years, we've heard over and over again how you shouldn't wash your hair everyday. That it strips the natural oils and dries out your scalp. That skipping shampoo gives your hair a natural boost in body, volume and shine. But honestly, not washing your hair can quickly go from bad to worse. Depending on your lifestyle and the grooming products you use, you'll notice that your hair feels grimy or your scalp feels itchy. Those with thick hair might find it feels too chunky, while fine hair can get weighted down by oils and fall flat. Then there's the possibility that the stands aren't smelling so fresh either. So what's a self-respecting guy to do when he wants good looking and clean hair but doesn't want to strip it of all those beneficial oils? You co-wash it. Co-washing is shorthand for simply washing your hair with conditioner instead of shampoo. Just try it for a day or two and notice how different your hair looks, feels and behaves after you towel it off. It's less brittle, less frizzy. Your hair has an instant, nice shine and the perfect malleability for styling. I used to stay away from conditioner altogether because I've got naturally wavy hair. After shampooing and conditioning, I got that dreaded dry and wiry ("poufy" for lack of a better word) hair that took way too much product to tame. But the more I heard about co-washing, I figured I'd give it a try and decided that if I was going to skip shampoo, I should use a quality conditioner. The better bottles are not only formulated with strand-strengthening ingredients, they contain trace amounts of detergents called cationic surfactants (common types that you can find on your conditioner's ingredient list are cetrimonium and behentrimonium chloride). These are much weaker cleanser compounds than shampoos, but are enough to get your hair nice and clean. Now I'm co-washing my hair every other day—between those days I simply rinse out any product with warm water in the shower. And I can confirm the method's success. My hair looks and feels smother. It's also more pliable and easily styled. It never gets dried out the way it did in the past. 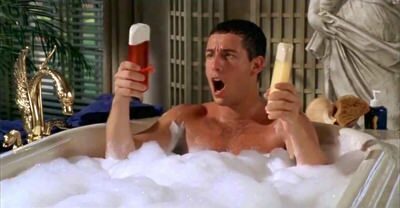 But best of all, it's just one step and never takes as long as rinsing out all the suds from shampooing. Which means I'm able to save some precious time getting ready in the morning. 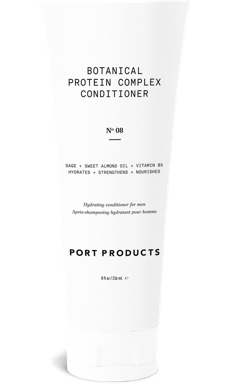 This new conditioner from the West Coast brand features a blend of 12 botanicals, all designed to treat common hair problems (especially fine or thinning hair). The creamy formula combats hair loss and breakage while adding shine and strength to strands using nutrient-rich sweet almond oil. Proprietary tea tree and mint, along with sage and chamomile, not only maintain an overall healthy scalp but invigorate you during early morning showers. 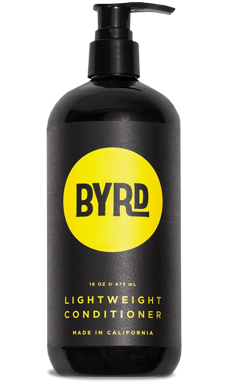 It rinses clean and leaves the hair soft but still with a good amount of body. 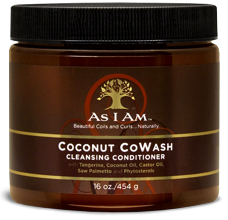 Co-washing is great for African-American hair texture, because it won't strip it of the natural oils needed to keep the hair in good condition. But some conditioners will leave too much sticky residue. 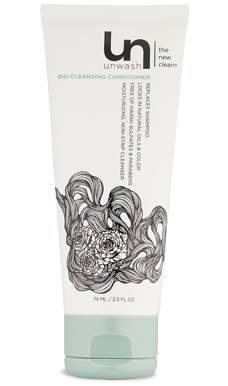 This lightweight cream spreads easily throughout your hair and rinses clean. Citrus extracts fight dirt while coconut oil absorbs into the hair shaft and castor oil locks in moisture, leaving softer hair and promoting healthy new growth. If you use a lot of product or have hair that's naturally curly, this is the best option for you. The non-lathering formula attracts and removes daily dirt and surface build-up without stripping hair of natural oils. Hydrolyzed keratin works to seal in moisture, resulting in smoother, shinier and less frizzy hair. If you're the type that spends a lot of time outside sweating in the sun, this patented blend of sea kelp, green tea, aloe and vegetable-driven glycerin alleviates stress on your hair while repairing the damaging effects of UV exposure and heat. The thinner consistency makes for quick rinsing as well. 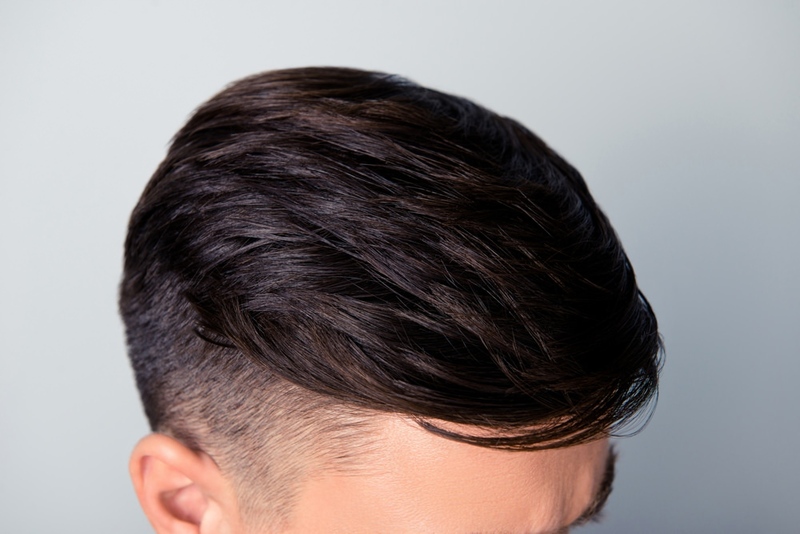 Wisdom from a friendly barber on how to find the cut that suits your proportions.